Let’s talk about caps. The Cancer Council’s ‘Slip, Slop, Slap’ campaign featuring Sid the Seagull first hit Australian TV screens in 1981. It is ingrained into the memories of generations of kids all over Australia to slip on a shirt, slop on some sun screen lotion and slap on a hat! Well not just any cap but one that gives you great protection from the sun. 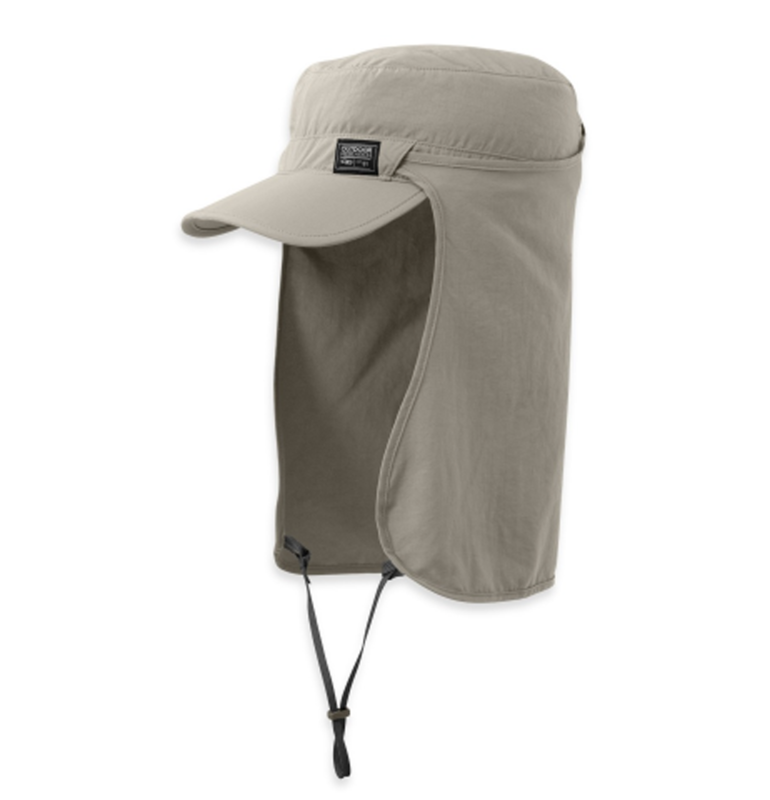 Well the Outdoor Research Radar Sun Runner Cap is the kind of cap that would make the Sid the Seagull proud. My personal preference is to wear a floppy hat with a wide brim to protect the back of my neck. Over the years I have found that wide brimmed floppy hats either battle with my pack or result in a rustling sound as I move, the latter driving me crazy on a long hike. This results in me folding the brim up at the back which clearly defeats the purpose and exposes my neck to the sun. Enter the Outdoor Research Radar Sun Runner Cap. It has a stylish design, good sized peak with a split which allows an excellent fit and when combined with the snap on cape, provides excellent face and neck protection on the hottest and sunniest of days. 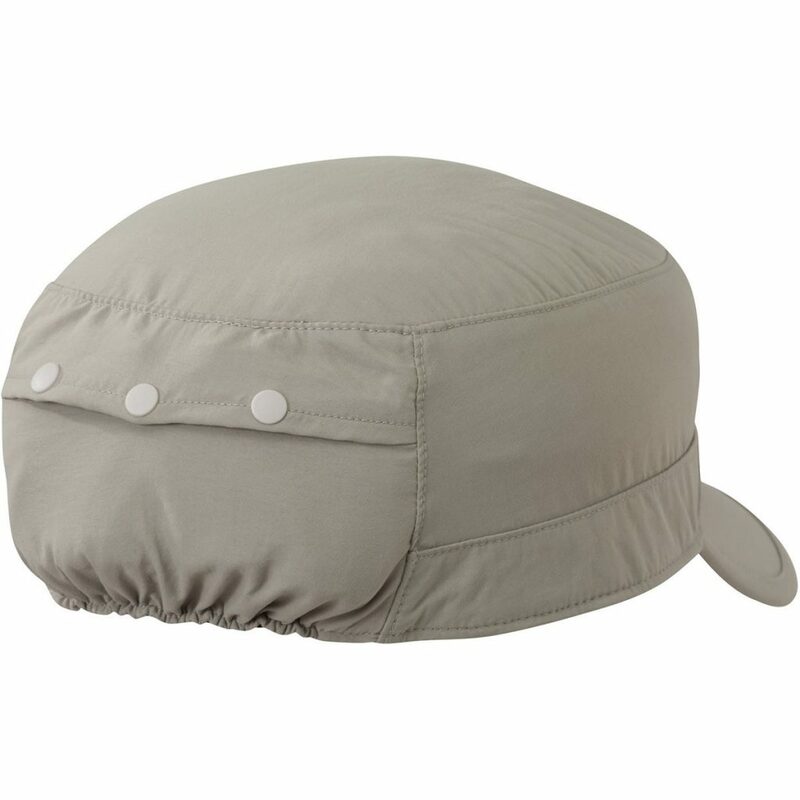 The cap is made of a lightweight water resistant fabric but still provides UPF 50+ protection. 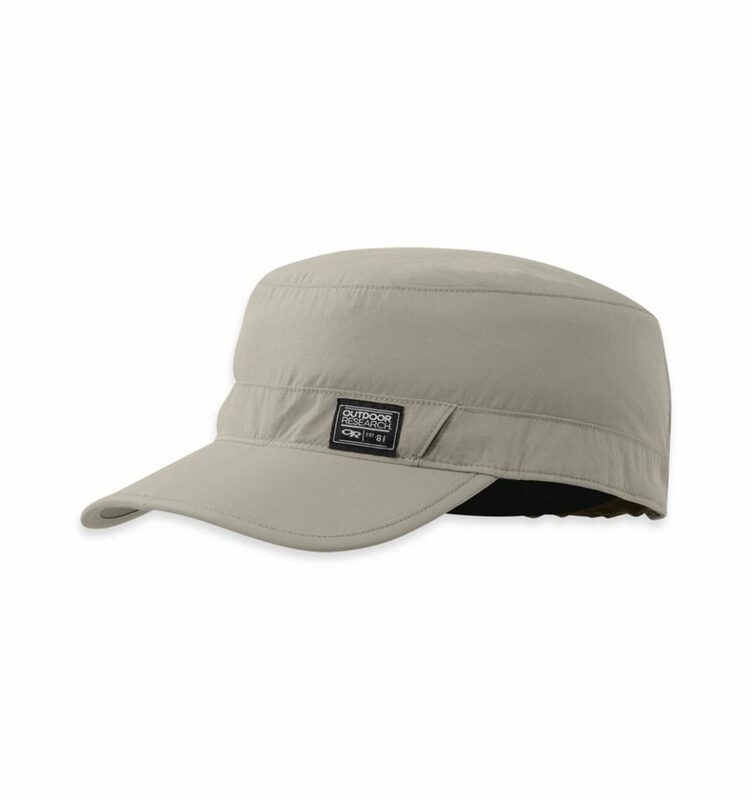 The Outdoor Research Radar Sun Runner Cap is packed with other features including two colours – Khaki or Pewter. I have the Khaki version but would have preferred the Pewter colour but I have mostly noticed that stores only have the Khaki – perhaps that’s because everyone prefers Pewter and beat me to it! The cape can also be stored in the pocket at the back of the cap when not in use. The underside of the brim is darker which helps cut down glare and the brim also folds which makes it easier to put into a pocket or stuff into your backpack. Perhaps the only downside is that when the weather is overcast and a little humid, the cap gets a little warm when the cape is attached. Outdoor Research does claim that the fabric is breathable but I’m not sure how this is being measured because there are times when I need to roll the cape onto the top of the cap and secure it with the under-chin strap! Speaking of the chin strap it is ideal on those windy days when you don’t want your hat to blow off. Please note that our affiliations do not influence, in any way, the independence of our gear reviews. If we don’t like something, you’ll be the first to know.